Kajol Avoiding Reaction on her Fallout with Karan Johar is Disheartening! We read what Karan Johar has written in his book in concern of Kajol and her husband, Ajay Devgan. We are aware of his perspective. When asked about the same from Kajol, she chose to move on to the next question. 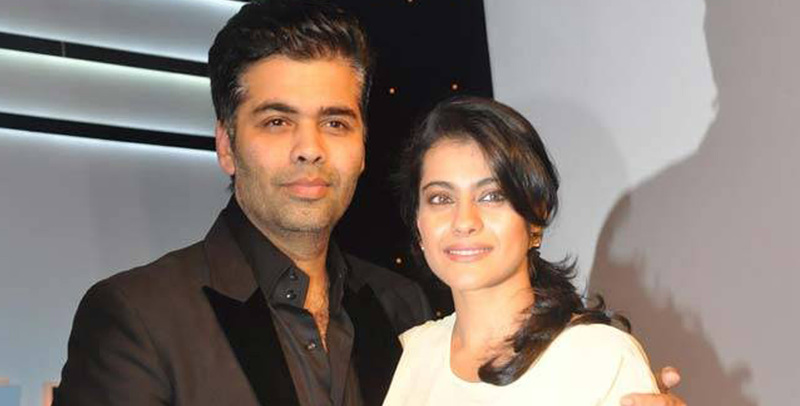 Kajol and Karan Johar were two amazing friends for long 25 years. Karan Johar's autobiography is the proof of how and when they became such beautiful friends, but everything messed up at the time of Karan's film, 'Ae Dil Hai Mushkil' and Ajay Devgan's film, 'Shivaaye' clashed. Things got worse when Kajol believed the rumors. All started when critic Kamal R Khan claimed that he was paid by Dharma productions aka Karan Johar to promote ADHM at Shivaay’s cost. This didn't trouble Karan but when Kajol reacted to the whole situation and tweeted, saying, ‘Shocked!’, this was the time when Karan felt disappointed. When asked if they will ever be together, she said, “Well, I think relationships are like that. Relationships are about working things out. So I do believe that if they are worth it, two people will make the effort to work through it." Well, we cannot say what will happen to this fallout but we can hope for the best.